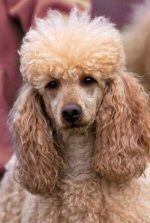 Senior dog health is an issue every poodle owner faces. Noone wants to think about their dog getting older, but dogs, like people, age. Being proactive with older dog health can help your poodle remain healthy. Your vet may want to see your poodle twice a year when she turns 7. Ask him whether once a year is still okay or if you need to have her in for a checkup every 6 months. The veterinarian may do blood tests, urinalysis, check her blood pressure, check her eyes for high eye pressure and check her heart maybe with tests. Your vet may want to put her on senior dog food which has less protein and fat but more omega 3 and 6 fatty acids for joint, skin and coat health. You can give her low calorie treats. 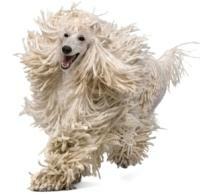 Older dogs will have a slower metabolism as they normally get less exercise and sleep more than younger poodles. Arthritis in dogs is fairly common, and may set in making him limp or be stiff when he gets up in the morning or from a nap. But he still needs exercise. Take him on two shorter walks a day instead of one long one. Acupuncture, glucosamine or chondroitin may help his stiff joints. His eyesight might fail and like humans, he could come down with dog cataracts, corneal ulcers, or glaucoma. His hearing may fade. 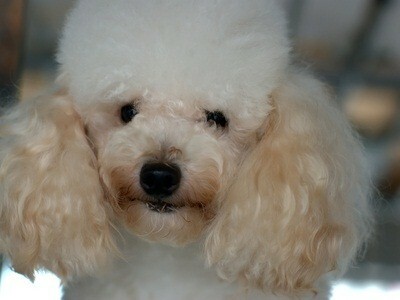 It may break your heart, but your poodle is adaptable and will learn to live with it. Holly had trouble walking and could no longer walk up steps. We carried her outside to potty, and up and down the steps so she could be where we were at home. It was never a burden, it was an honor to do anything we could to help this lovable pet who had blessed our home with much fun, happiness, joy and laughter over the years. A senior poodle still has as much love to offer to you. She doesn't know why her body is stiff or why she can't hear your voice as often. Love her and cherish the golden years and time spent with your poodle.